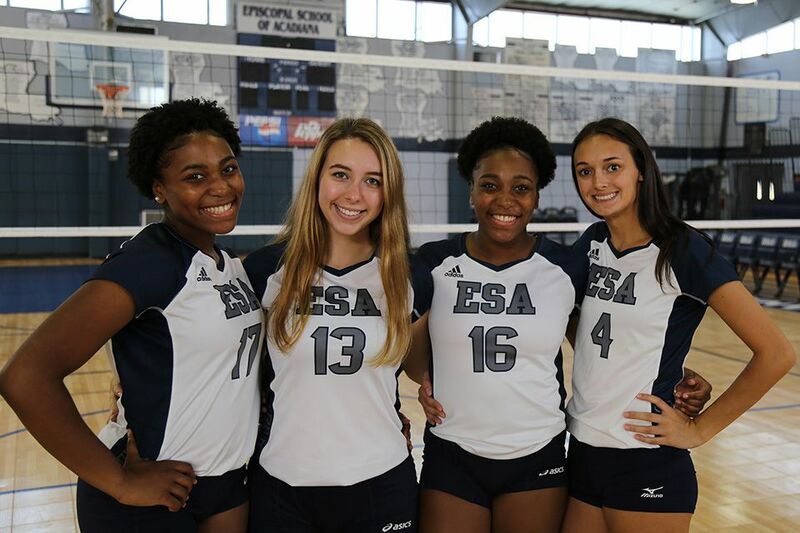 ESA Volleyball celebrateed Senior Night for Hailie Williams, Ellie Broussard, Kailie Williams, and Taylore Louviere on Tuesday. On Thursday, Friday, and Saturday, ESA will host the Spooktacular tournament, a fantastic event with decorations, costumes, and this year, a performance by ESA musicians. Congratulations to Hailie Williams (#17), who was chosen to play on the West team in the 2018 East vs. West All-Star Volleyball Game on Saturday, November 17th in New Orleans! And to Taylore Louviere (#4), who was in the KATC Senior Spotlight! There are just a few more chances to see the team at home - including this weekend during the Spooktacular tournament and next Wednesday, October 31st, in the bi-district playoff match. Good luck, Falcons!